You are currently browsing articles tagged Funkwerks. Super good beer. Kind of a mix of a sauvin blanc and a saison beer. I had a lot of fun making this and filling in the blanks. 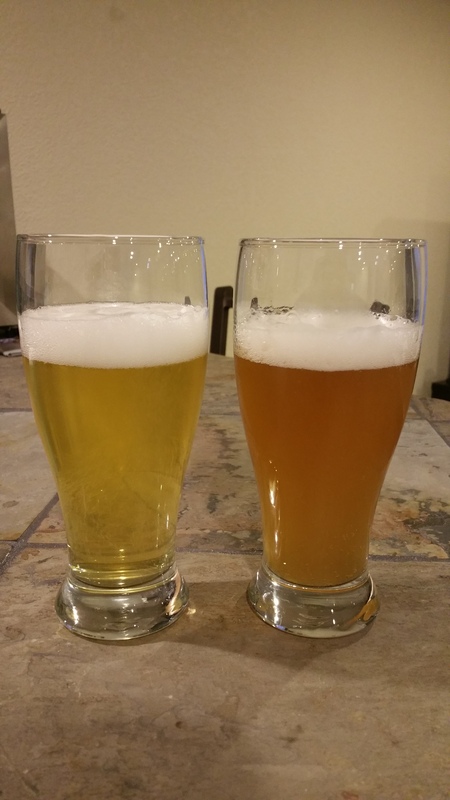 I ended up using a repitch of Belgian Saison and a starter of French Saison for my yeast. I ended up overshooting my mash efficiency and ended up with 15G rather than my planned 13.2G (calculated batch size for one can of Muscat grape juice) to keep the OG about where I guessed Funkwerks might start with (~1.063 w 90% attenuation). I think my lack of quick cooling and less hops per gallon of wort contributed to my beer not being as aromatic (still plenty good and something to aim for next time). To add to things mine attenuated better than I planned (1.004) and end up being an 8.2% beer. Finally, since this was a Saison with a good amount of wheat it didn’t occur to me that Funkwerks was filtered in some way until we did a side-by-side comparison. So in the end Funkwerks looks better, smells better, and taste a bit more crisp than mine, but boy are both still good. 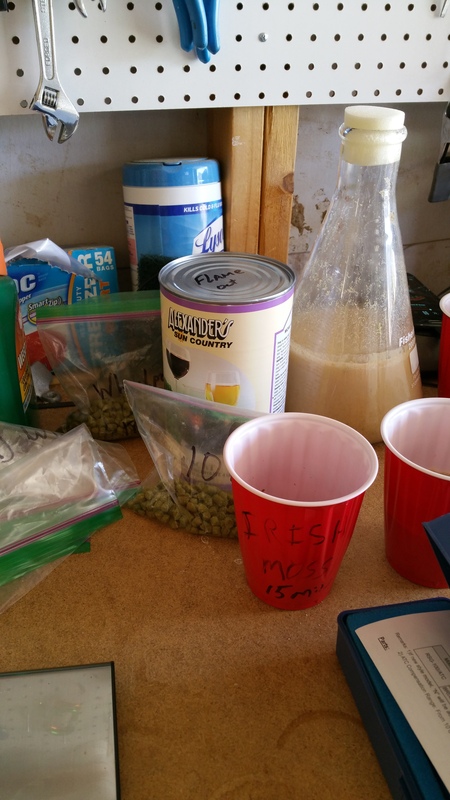 Here are some quick tips for cloning Nelson Sauvin. We use very light Pilsner malt, Best Malz Heidelberg or Briess Pils. 20% is light Wheat malt and 12% of fermentables is Muscat grape added at flameout. 0.5oz/5gal Nelson at 10 minutes, 1oz/5gal Nelson at flameout. There is no bittering addition. Ferment with favorite Saison strain. For the yeast nerds out there, the Funkwerks house yeast strain comes from Wyeast’s 3711 French Saison varietal*. unlikely yeast by Funkwerks is Dupont/Assmanshausen/T-58 blend. 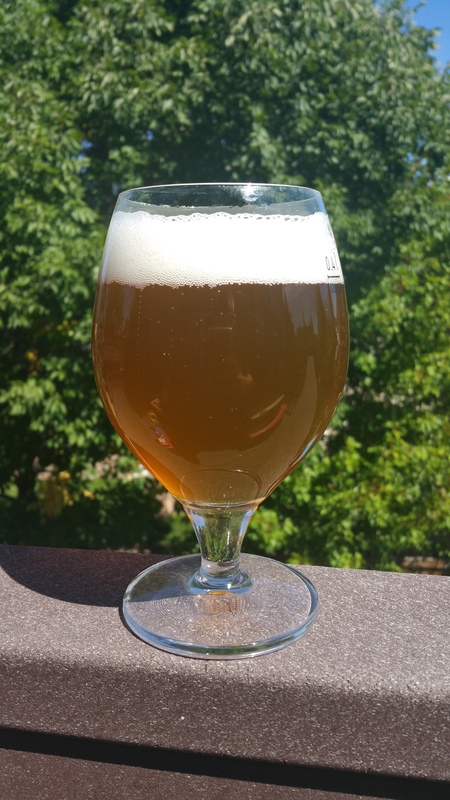 Likely Funkwerks profile is familiar to tropic king: pitch at 65, ramp up to 75 over 48 hours. Place the wort in a temperature controlled environment at 65F (18.3C) for 3 days before letting ramp (or if you’re like me and don’t have enough space for temp controlling everything – I’ll place the fermenter in an iced water bath and let the heat of the day and the ferment melt the ice and raise the temperature to mid 80’s and 90’s (29-35C). It’s perfectly safe to drive a Saison yeast this hard if you’ve started cooler. Under Pressure – Pt. 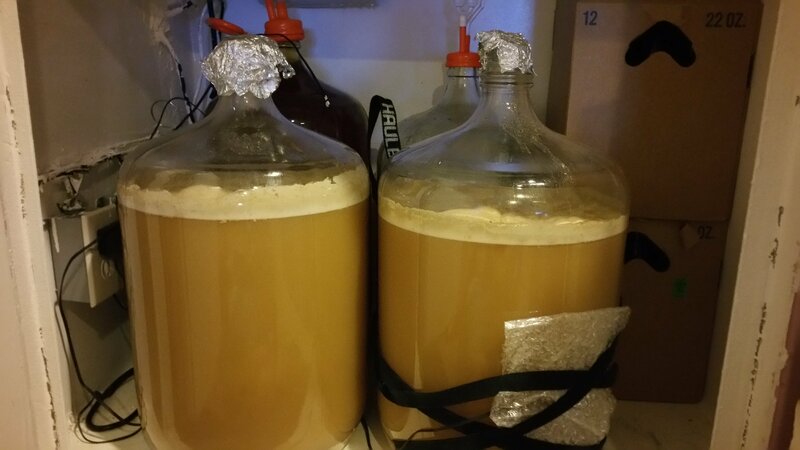 4: Airlock vs. Foil With Saison Dupont Yeast | exBEERiment Results!